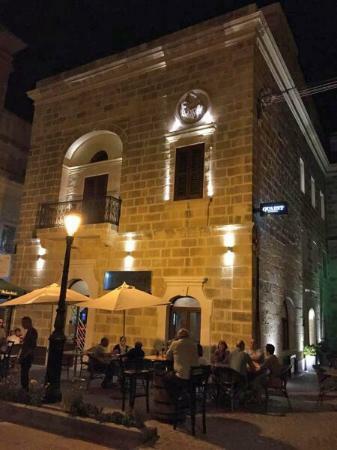 On ground level of the Quaint Hotel in Nadur is the delightful restaurant and wine bar; The Fat Rabbit. Food-wise, its menu offers a wide selection of food including its speciality; the rabbit. Either tuck into the wine list or choose from the admirable assortment or beers or have them mix you up a cocktail. For further information about this restaurant, you can click on The Fat Rabbit Restaurant Facebook page or call on (00356) 2155 6183. 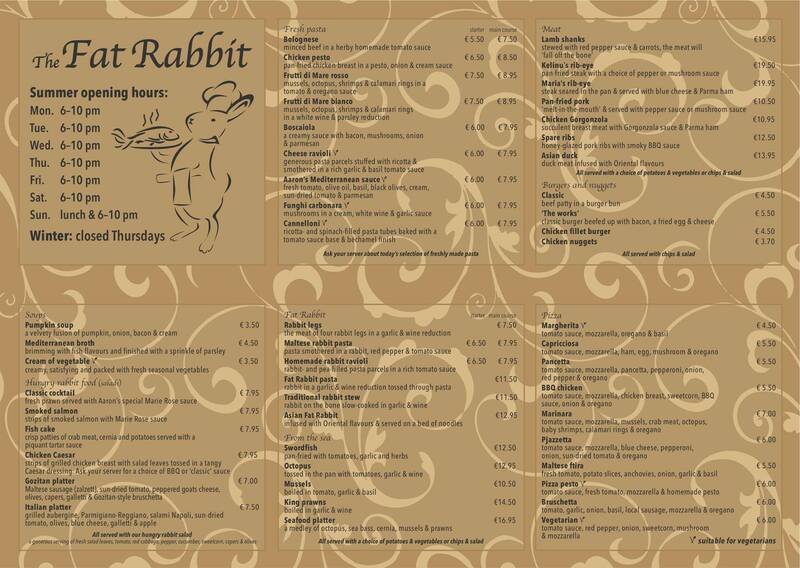 The Fat Rabbit Restaurant Menu is attached below.